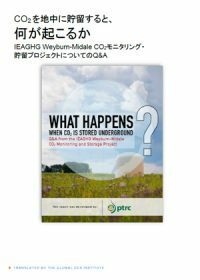 Japanese translation of What happens when CO2 is stored underground? Q&A from the IEAGHG Weyburn-Midale CO2 Monitoring and Storage Project. ANLEC R&D funded this technical report that follows a previous report on field experiment results from the retrofitted Callide-A Oxyfuel demonstration power plant. Additional analysis was conducted to bring this project to a conclusion. 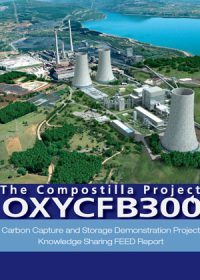 Further results support that the levels of metals, acid gases and mercury in particular, are below the level of operational concern in the CO2 processing unit (CPU), and that the health and environmental outcomes under oxy-firing conditions are likely to be similar to those achieved when using conventional air-firing. 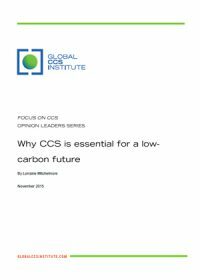 This two volume study was commissioned by the Global CCS Institute to expand knowledge on the environmental impacts of the capture process of carbon capture and storage (CCS). The study measured actual emissions and explored a case study into air quality at the AGL Loy Lang PCC Plant in Victoria, Australia. 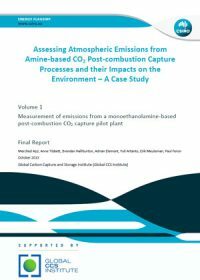 This document summarises the major outcomes of the CSIRO-led investigation into the potential air quality impacts of amine-based post-combustion carbon capture (PCC) technology. This report describes the comprehensive experimental investigation of emissions concentrations of selected PCC liquors and process gas streams at the AGL Loy Yang Power Station using the CSIRO Loy Yang pilot-scale post-combustion capture (PCC) plant (LYPP). 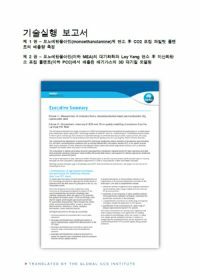 The benchmark solvent, monoethanolamine (MEA), was used to capture CO2 from the process gas of the Loy Yang coal-fired power plant. The experimental study focused on applying, evaluating and, where required, further developing current stack sampling and analytical techniques to identify the major chemical components existing in the process. 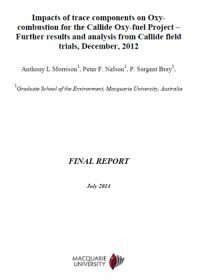 This report describes an experimental and modelling study of the impact of ethanolamine (MEA) emissions from the CSIRO Loy Yang pilot scale PCC plant. A chemical transport modelling system was used to simulate the likely impact of retrofitting a PCC installation to Loy Yang power station. A representative month (March 2005) was selected on the basis of having many of the atmospheric process of relevance to the chemical transformation of MEA and near-source plume strikes from the power station. One of the key challenges for a large scale CCS demonstration project, like the ROAD project in the Netherlands, is to safely and efficiently operate the CO2 stream of an integrated CCS chain. For ROAD this means: capturing the CO2 from the flue gases of a coal-fired power plant, compressing and transporting the CO2 through a 25 km pipeline to an offshore platform and injecting the CO2 into a depleted gas reservoir 3.5 km below the sea bed. 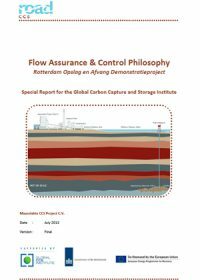 This special report on the ‘Flow Assurance and Control Philosophy’ of the ROAD project provides an insight into the proposed control and operating systems for the CO2 stream of the integrated CCS chain in steady state, shutdown and start-up conditions. Although it has not been practiced before, the Flow Assurance Study (FAS) conducted by ROAD has clearly shown that filling a reservoir of (very) low pressure to an end pressure of 300 bar is in practice possible, but one has to study the behaviour of CO2 in all its thermo-dynamic aspects with the parameters of the physical configuration of the transport system. 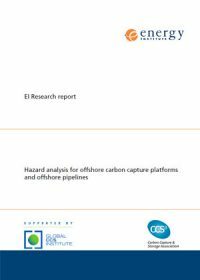 This report is concerned with research performed as one of the five activities of the project funded by ANLEC R&D entitled “Environmental Impacts of Amine-based CO2 Post Combustion Capture (PCC) Process”. 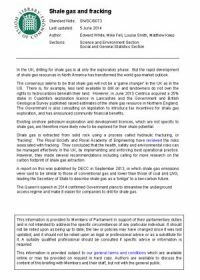 This report is project deliverable 4.2 which details research undertaken as Activity 4: Determination of the fate of PCC emissions in the atmosphere. 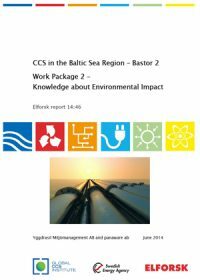 Outcomes from this work were used to perform a dispersion modelling scenario (deliverable 4.3) for the anticipated emissions from a black coal-fired power station retrofitted with an MEA-based CO2 capture plant.